That's all there's left because the alligator bit it. 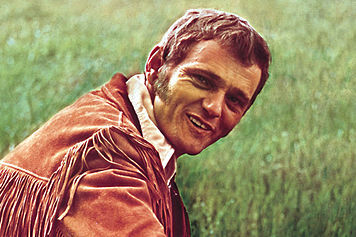 Jerry Reed Hubbard (March 20 1937-September 1, 2008) is NOT related to Scientology-inventor L. Ron Hubbard. He is however, an American country music singer who crossed over with this song in 1970. Reed was born in Atlanta, Georgia. As a child he would run around his parents house with a guitar in hand and tell everyone he met that he was going to Nashville to become a star. This entry was posted in Uncategorized and tagged Amos Moses, Jam of the Day Scooby Doo with Jerry Reed, Jerry Reed, L. Ron Hubbard, Scientology. Bookmark the permalink.